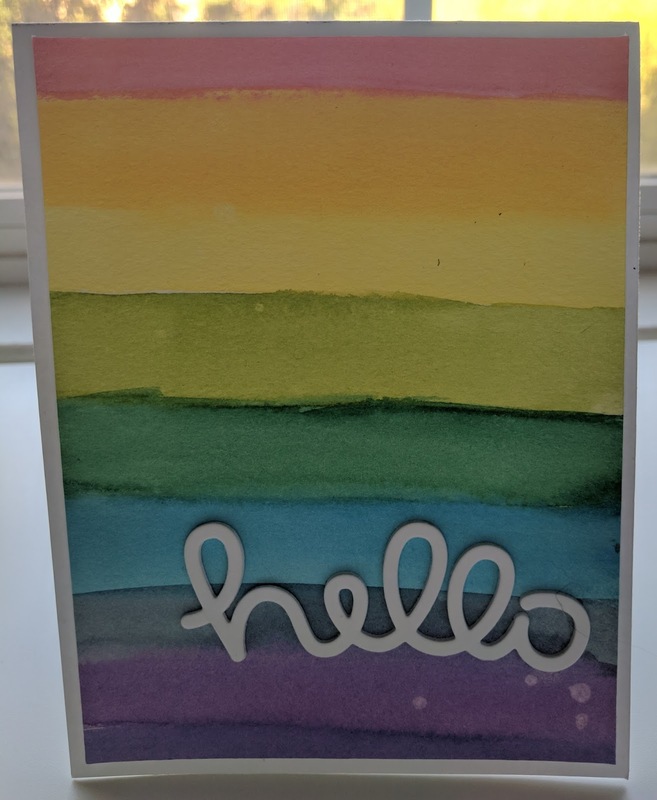 I made this card to play with creating rainbows and my watercolors. 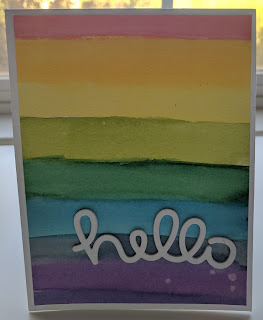 These are all Prima and I used a wide brush to do each color I then just cut the hello die from Lawn Fawn 6 times and stacked them to give the greeting some dimension. It's a fun and simple card that can easily be duplicated for a gift set.